Bolognese sauce (or ragù) is a meat sauce created in Bologna, Italy. This recipe makes a large pot. Enjoy!! Heat olive oil and butter in a large pot over medium-high heat. Sauté the carrots, onions and garlic, stirring frequently until tender. Stir in the sausage and beef. Cook, stirring occasionally, until beef is brown and sausage is no longer pink. Drain the excess fat and add the wine. Heat to boiling, then reduce heat to low and simmer uncovered until wine has evaporated. Add the tomatoes and the rest of the remaining ingredients. Bring to a boil, then reduce to low heat, and simmer for 1-1/2 hours stirring occasionally. I don’t cover my pot while simmering. If you cover the sauce, it will become watery. It will thicken up really well without a cover. 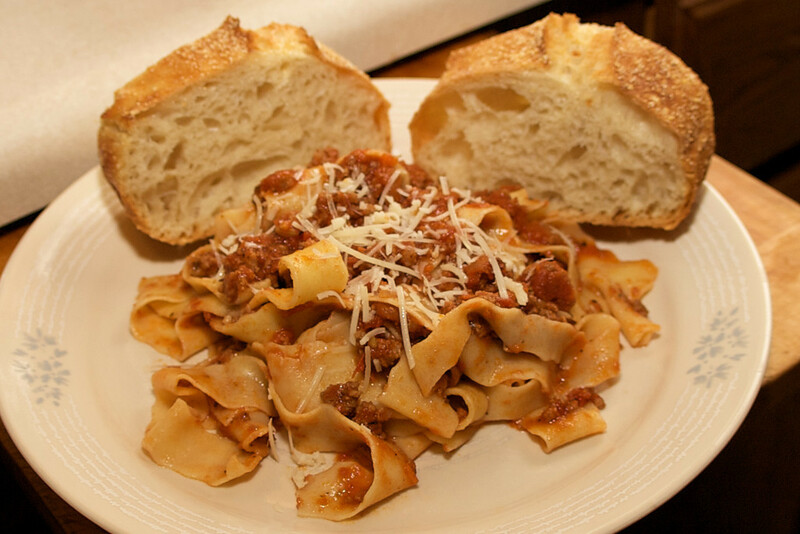 I like to make my own pasta so I made some thick noodles to go with this great meat sauce. 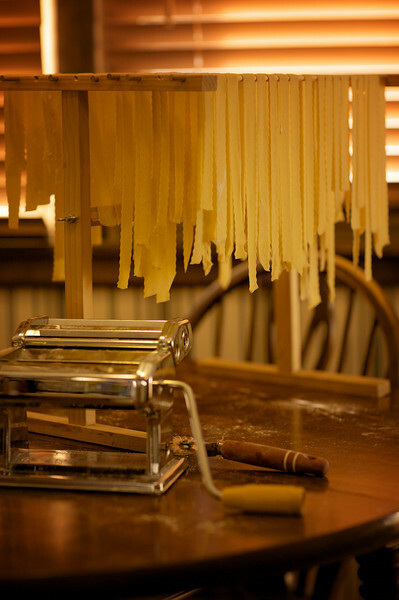 This entry was posted in Uncategorized and tagged bolognese sauce, homemade pasta, pasta. Bookmark the permalink.